Do banks have what it takes to be at the centre of digital disruption in Indonesia? From addressing specific needs to developing new business models, banks are getting a digital makeover. According to PwC’s Indonesia Banking Survey 2018, only one in twelve Indonesian banks are employing the same strategy that they did 18 months ago. This shows that the country’s banking sector is rapidly changing amidst the challenges of digital disruption. Despite this state of flux and the uncertainties that are abound, analysts are positive that the banking sector will remain stable and has actually improved, driven by strong economic growth, easing commodity sector conditions, and macroeconomic policies geared towards maintaining stability. PwC’s survey showed that business transformation, digitalisation, and talent are the top focus areas for Indonesian banks at present, amidst challenges to react to industry disruption and non-financial institutions entering the financial services landscape. As a double-edged sword, technology is not only an opportunity, but is also a major risk for banks who fear being rendered irrelevant by emerging fintechs and e-commerce platforms. 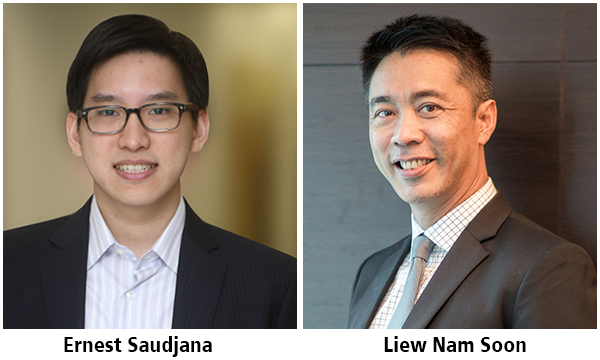 Liew Nam Soon, managing partner, ASEAN markets at EY said that digital channels are proliferating along with the increase in digital transactions through these channels. For Indonesian banks, digital has become a “must have” strategy that has increased focus on designing strong customer experiences and investments in digital platforms as well as fintechs. “We are seeing more banks and fintech collaboration to strengthen the value proposition to customers. Technology and digitalisation enable business transformation and there is significant uplifts in spending, much of which is focused on front-end systems as well as process automation,” Nam Soon added. With the onslaught of digital disruptions, banks have also embarked on initiatives to re-skill their employee pool and make use of the appropriate talent acquisition platform to attract the right skill sets. The lack of a deep talent pool has made it difficult for Indonesia to fully embrace the digital revolution, and further disruptions are making it hard for the country to catch up. Nam Soon said that banks need to actively assess the future of work in order to align a suitable workforce that is relevant to constant changes in business models, automation, and digitalisation. “One area that is playing catch-up is the use of analytics to provide customer insights, particularly in customer experience and mining social media data. Banks are also at a disadvantage relative to platform providers in the ability to harvest customer and transaction data,” Nam Soon added. If banks hope to be at the centre of digital disruption in Indonesia, they must know how to cater to a rapidly growing digital savvy clientele that will increase from 10% to around 25% of the total population by 2022. Ernest Saudjana, partner and managing director at BCG Jakarta, said that this does not include “hybrid” customers, who prefer online transactions and form a majority of retail customers. “And the emerging fintechs, which have been aggressively tapping the potential of the financial services industry in Indonesia, are partially serving these customers. Besides, we have also seen many tech companies entering payment space such as Gojek, OVO, etc. ; lending such as Investree, Kredivo, etc; and asset management such as Bareksa, etc. 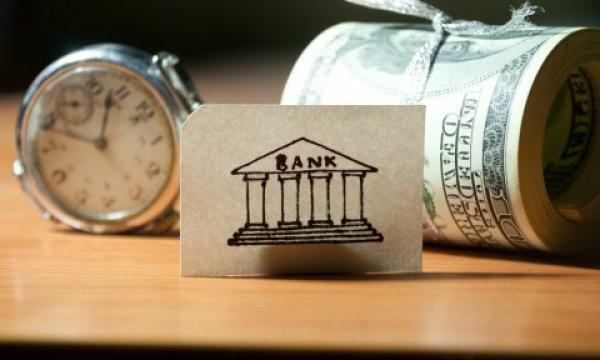 Banks need to make sure they are building the right solution for digital customers or are connected to these ecosystems to make sure they are not disintermediated in some customer segments in the future,” Saudjana explained. In addition to the rising pressure to go all out in digital, Indonesian banks have been experiencing high levels of non-performing loans (NPLs), particularly in the mid- corporate and commercial banking segments. This trend has continued as the Indonesia economy slowed down in the past year, with the commodity sector facing headwinds. Analysts at Fitch Ratings noted that the NPL ratio of the banking sector had stabilised at below 3% by end 1Q18, with the large banks averaging at 2.6%. The average credit cost and restructured loans ratios of large banks had declined to 1.5% and 5.6%, respectively, compared to 1.7% and 5.8% in 2017. Fitch Ratings expects the operating environment to support the asset quality profiles of the large banks throughout 2018 and beyond. To address operational challenges beyond the digital demand as well as ensure the banks readiness for any form of change, Indonesia’s major banks have been deploying their intelligence teams to gather deep sectoral insights to help them capture industry trends and perspectives across the value chain. Saudjana said that this allows banks to understand customers’ business cycle and their pain points, and thus allows them to design targeted and more robust solutions. “Banks are also beginning to review their credit processes, to make them more robust and efficient, whilst strengthening early warning capabilities through the use of transaction analytics. Analysing data enables banks to improve credit risk modeling, provide early warning signals and strengthen loan tracking,” Saudjana added. Furthermore, the new digital ecosystem will require banks to develop a different business model. Saudjana said that banks, for instance, can innovate to deliver better payment solutions such as digitally sanctioned loans to tech companies through a cash flow lending model and cash management system for e-merchants to monitor cash flows. Returns in mid-sized banks havebeen improving in the past two years, however topline growth has been relatively modest. According to Saudjana, margin pressures will force banks to find a more efficient model to win in the market. As an example, innovative banks in the SME segment are working to build one-stop digital shops, helping SME customers access products and services, secure fast credit decisions in an instant, connect with professionals, and obtain search results. “Loan growth will be modest in 2018 but is expected to recover moving forward as economic growth strengthens. A few plays such as mortgage, SME lending are expected to grow healthily as banks are beginning to focus and differentiate on these segments to drive future growth. Wholesale loan (corporate and commercial) growth will also be improving as economy recovers,” Saudjana added. The World Bank’s Global Financial Inclusion Index showed that the percentage of adults with a bank account in Indonesia grew from 20% in 2011 to 49% in 2017. According to Saudjana, this is a positive development that provides an opportunity for the banks to crosssell other financial products such as consumer finance, basic insurance, wealth management, etc. Greater financial inclusion in Indonesia has definitely been fueled by digitalisation and disruption, and Nam Soon added that one other interesting statistic is the relatively higher proportion of women with bank accounts. Nam Soon said that apart from a reflection on diversity, this statistic gives banks an open door to market to this segment of customers who have unique needs. The increase in adults with a bank account also provides opportunity in micro or SME banking. According to Saudjana, choosing the right digital strategy for this segment has become even more crucial, since a stronger deposit and payment franchise can generate valuable transaction data from customers. He added that banks can analyse the big data to better understand customer activity, a key learning process that will allow them to offer more effective service models and better pricing. “This opportunity will be more pronounced as the country’s middle-class population increases rapidly towards 150 million by 2023. The middle-class population traditionally has higher propensity to take up consumer finance (mortgage, auto loans), insurance and other products,” said Saudjana. “There is also a bigger opportunity for the banks to continue to drive cash digitisation, to provide a more efficient payment infrastructure in the country,” Saudjana added.